For a century, Chicago has been a place to build bold new visions. The City of the Big Shoulders is where the elevator was born, the skyscraper rose to new heights, and Frank Lloyd Wright and Mies van der Rohe shaped the architecture of the 20th century. If you visit this fall, you can see that legacy in concrete form – and, also, some architecture by spiders. The star designer is one busy tent spider, who was enlisted by Argentine Tomas Saraceno to spin a silk structure inside a transparent cube. Saraceno, an artist trained as an architect, rotated the cube a few times, stirring the spider to create a 3-D weave. 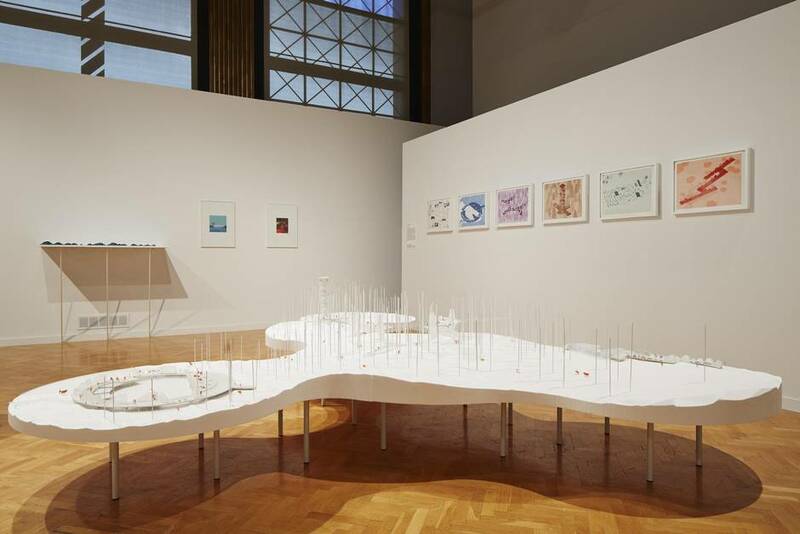 The uncanny result is part of the main exhibition at the Chicago Architecture Biennial, a season-long festival of ideas that opened this month. But is Saraceno’s web even architecture? What does the term mean today? The Biennial – the largest event of its kind in North American history – poses just this question, and it offers 100 different answers that range from poetic to the politically engaged. This Biennial looks back to the ambition and idealism of the 1960s – making room for technical and formal innovation and displaying a strong desire among many architects to build a better world. The event, which continues through Jan. 3, includes public talks, a set of new pavilions in city parks and more, but its heart is a sprawling exhibition of ideas from firms from around the world. The free exhibition, which drew a reported 31,000 visitors over its opening weekend, is at the Chicago Cultural Center, a glorious Beaux-Arts pile in the middle of the Loop. Walk through the Center’s stone portico and you encounter a set of rough benches, built from fragrant local wood by architect Francis Kéré – a “Place for Gathering” inspired by similar spaces in his home region of rural Burkina Faso. A few steps away, the Chicago-based Studio Gang present Polis Station. It’s a scheme to break down the garrison mentality of local police by integrating a station on Chicago’s poor West Side with a school, community space and a public garden. It’s an idealistic, yet totally buildable, vision for addressing some of the most urgent social issues in North American cities. They invited a group of architects from 30 countries to contribute – leaving aside the world’s most famous names to make room for young and mid-career figures. Their ideas fill the Center with an eclectic assemblage. This includes a few full-scale mockups of buildings. 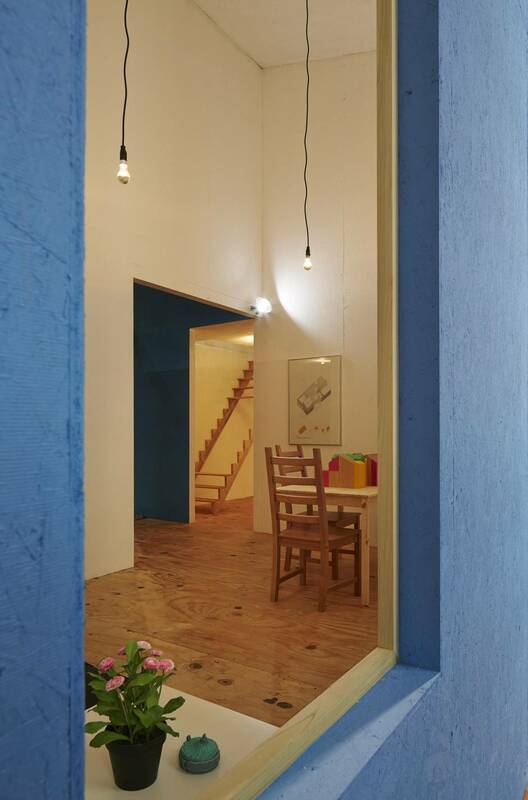 Among them, the Mexican architect Tatiana Bilbao has built a prototype for housing some of Mexico’s poorest people: a flexible, airy 463-square-foot house that can be built in Mexico for less than $12,000. What impact will this have on the real world? It’s difficult to say. In architectural research, as in art or in pure science, wild ideas can bear fruit in unpredictable ways. Just across the hall from Mortlock, the Biennial’s one Canadian entry has set up shop: the Toronto-based Lateral Office, with a thought-provoking set of proposals called “Making Camp” expressed in a set of models and beguiling, rainbow-hued drawings. They’ve looked at the history of camping, and noted the ironic truth that most campsites today are basically suburban in character. “We escape from the city or the suburbs, go to the woods and end up staying in a cul-de-sac,” says Lateral principal and University of Waterloo professor Lola Sheppard. In response, Lateral developed five proposals for different forms of camping in difficult landscapes: a lookout tower, a modular system of tents for cold-weather camping, a complex of treehouses that pushes the logic of ultra-light tents to an extreme. The Biennial’s one Canadian entry is the Toronto-based Lateral Office, with a thought-provoking set of proposals called “Making Camp” expressed in a set of models and beguiling, rainbow-hued drawings. But how will the Biennial serve the metropolis as a whole? Chicago is one of America’s most segregated large cities, and the organizers of the Biennial are eager to see this event make an impact beyond its most privileged precincts. The artist Theaster Gates opened his newest project, the Stony Island Arts Bank, in time for the Biennial; it is one of several idiosyncratic cultural projects that Gates’s foundation has created near his home in an impoverished, largely black neighbourhood on the city’s South Side. I heard Gates speak in a library that has been carved out of the 1923 building and houses a historic collection of books on African-American history and culture; he argued that the Biennial can and must embody an agenda of social justice. 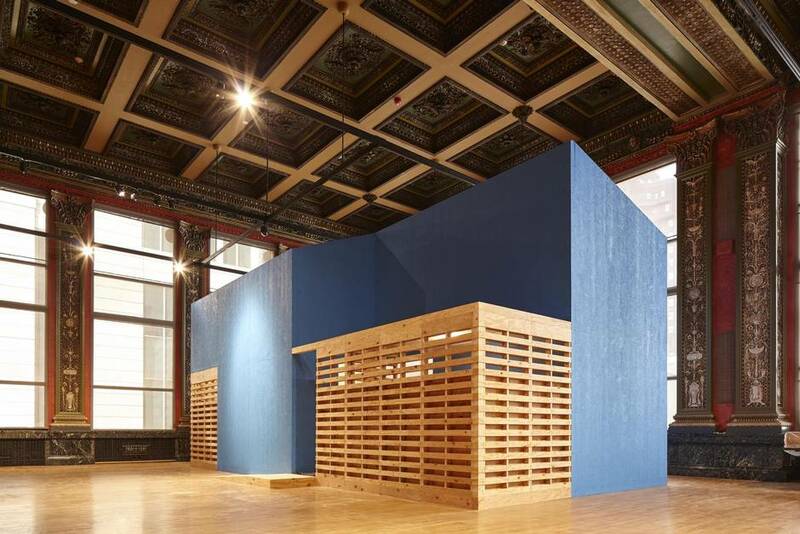 The Chicago Architecture Biennial runs through Jan. 3.